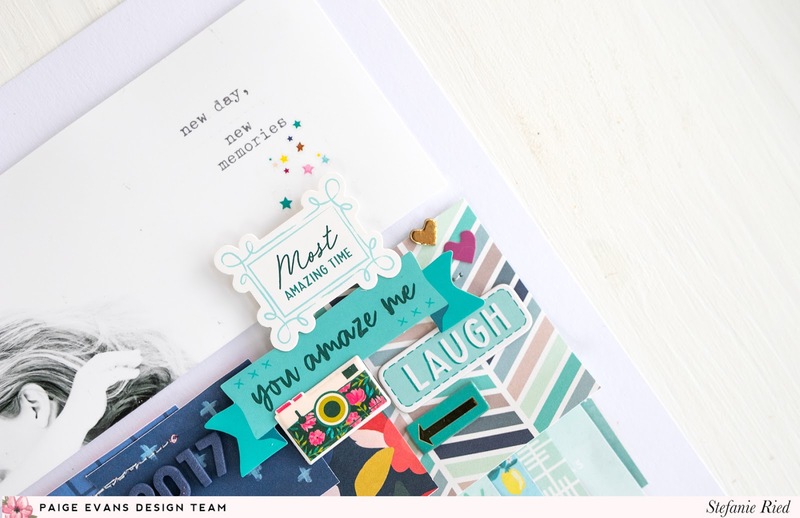 How STUNNING is this layout by Stefanie Ried?! 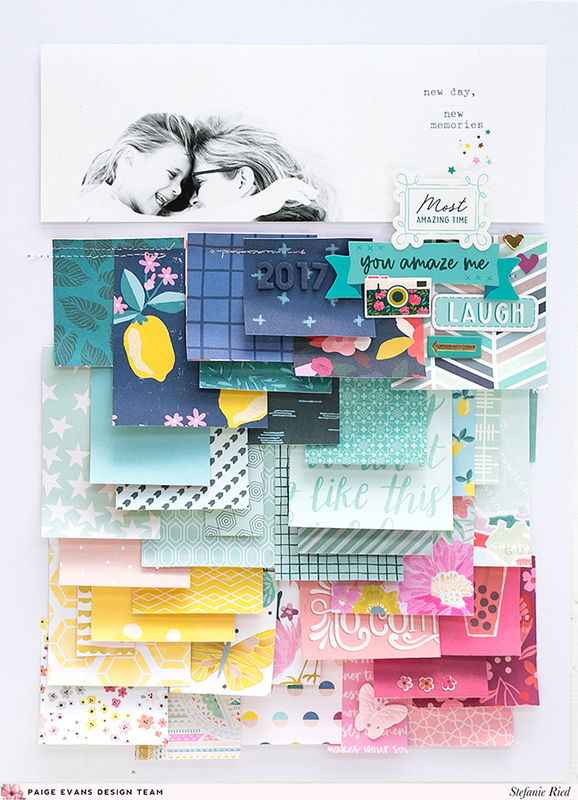 I love all of the textures and layers - so pretty! Over the weekend I sorted the papers from all of Paige's collections into different colors. That did not work so well, as there was always a different color on the back. So everything changed again and now the papers are sorted by the collections. Which is much better! I started cutting out a small piece from most of the papers then sorted by color. 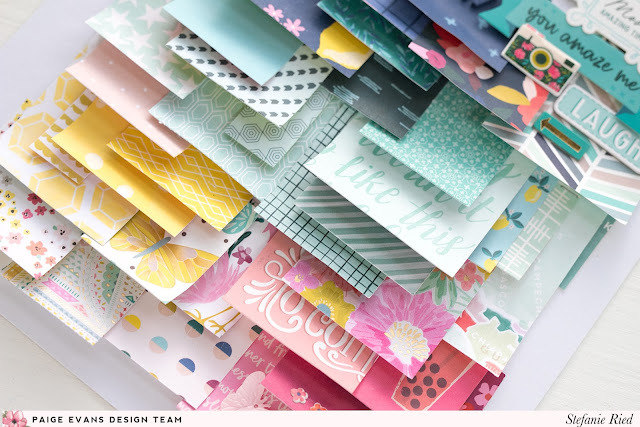 Then the papers were placed on the layout like a rainbow. 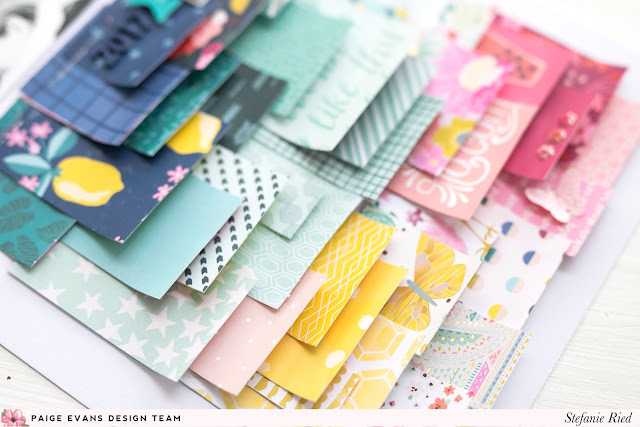 I like this color scheme in Paige's collections the most. It fits wonderfully and makes it easy through the many colors. I sewed the top papers first then added the papers with glue dots underneath. The papers have different sizes so it makes the page more interesting. The photo is in black and white which fits best with the rainbow colors. This is absolutely beautiful and such a creative way to feature the papers. I love the position of your photo, too! Love, love, love!! !